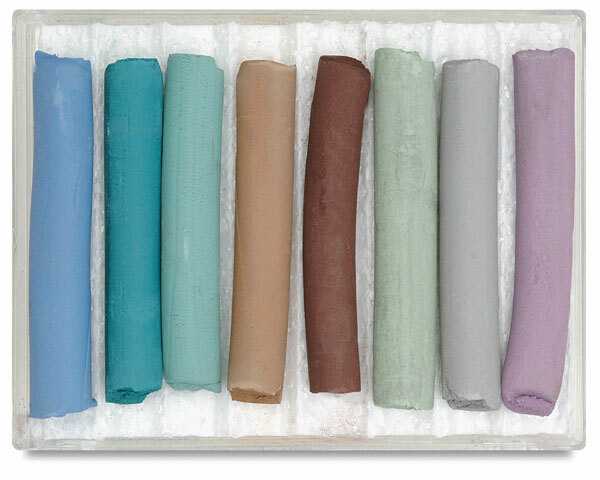 Create unusual styles and a variety of textures with Underglaze Chalk Crayons by Amaco. A watercolor effect can be obtained by brushing chalk sketches with water. Eight colors in a plastic hinged box, including Lilac, Yellow-Green, Gray, Medium Green, Light Brown, Blue-Green, Dark Brown, and Medium Blue.